Plastic-encapsulated transition eliminates all possibilities of potential defects when inserted, formed and used in hot runner systems. The thermocouple can be installed into the hot runner system without any fixing through bending or forming the sheathed cable or with a rotatable (if required, spring-loaded) union screw. 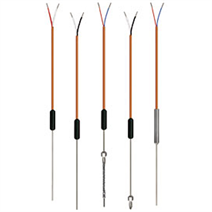 The thermocouples are available with a variety of sheath materials, including austenitic 300 series and ferritic 400 series stainless steel, as well as corrosion-resistant, and at high temperatures oxidation-resistant, alloys. 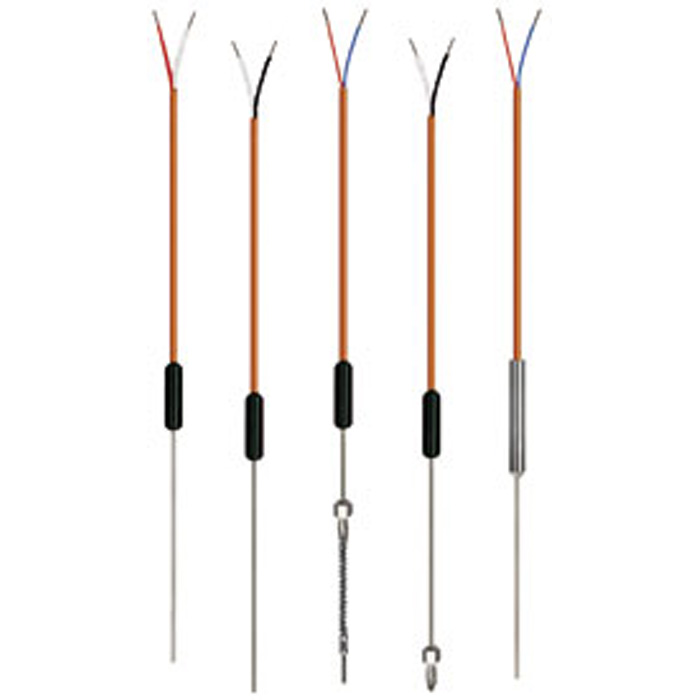 The TC46 series thermocouples are custom-designed to suit all applications where sheathed thermocouples are required. An extensive range of elements, transition sleeves and process connections can be individually selected for the appropriate application. With the flexibility and small diameters in which they are available, model TC46 thermocouples can be used in locations that are not easily accessible. Thanks to their unique design, the hot runner thermocouples are especially suited for applications where the metal sensor tip is fitted directly into a drilled hole or press-fitted into a grooved channel along the machined parts. In the standard version the thermocouples are manufactured without process connections. Fastening elements such as a union screw, a compression fitting, or a spring-loaded or customer-specific hold down device can be attached and are available as options.